Fantastic value this bathing pack is beautifully presented in that simple and stylish Babu way. This great bathing pack has everything you need for your newborn baby. 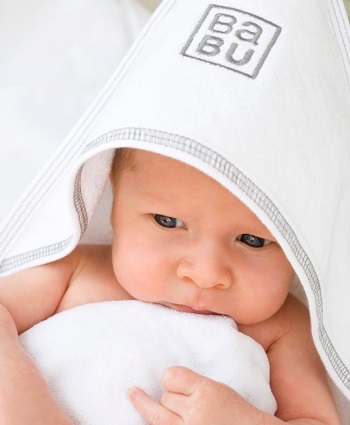 thick & luxurious 500gsm terry towels, soft and organic facecloths and gauze muslins. Beautiful top quality product as always from Babu. Best quality! Love everything in the pack! We bought bathing gift box for our baby because it saved me so much money and we love everything inside it.Soft and good quality. Everyone thought I was crazy when I bought this, the large bedding value pack and the newborn essentials value pack, but it saved me so much money for all the items I had on my wish list. I love them all especially in this set the towel. The cotton is so soft and washes really beautifully and they have all worn so well.